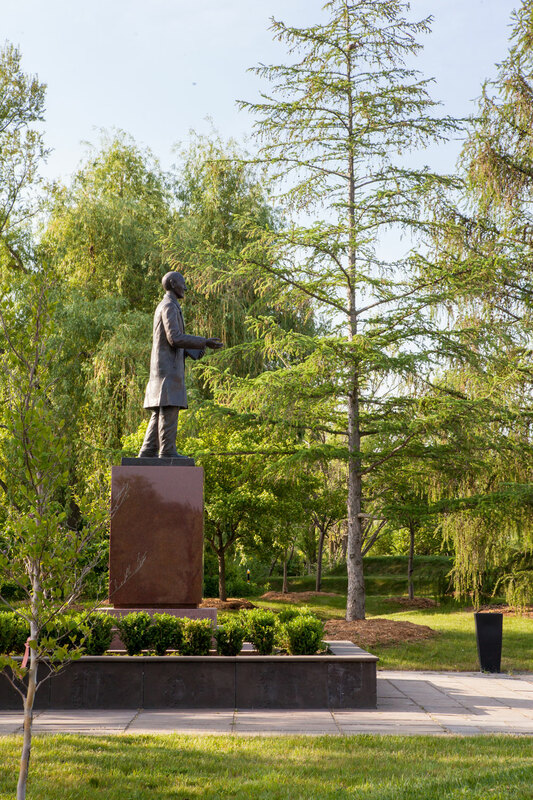 The Schofield Memorial at the Toronto Zoo commemorates the work of Dr. Frank Schofield, a Canadian missionary to Korea during Imperial Japanese rule, and an ardent supporter of their rights before and after independence. While the project serves as a memorial to the humanitarian efforts of Dr. Schofield, it also functions as a multi-use cultural center, as the Zoo looks to make better use of its exhibition spaces and increase its role as an important part of the cultural life of the city. In this regard, the project strives to offer an open, cross-cultural experience to all visitors. Initially, an architect from South Korea was retained, known for replicating the traditional high Josean architectural style. As the project progressed, the complexity and high cost of recreating traditional vernacular structures, including artistic painting, shipping of clay tiles, and highly specialized installation processes, in addition to creating the necessary environmentally controlled envelope system around them, became prohibitive. A Canadian architect was brought on board, advocating the marriage of Korean vernacular with Canadian materials and processes, all encompassed in a contemporary and innovative configuration. Two open-air pavilions sit as artifacts on a stone ground plane, extending from the memorial garden and plaza, beneath which a contemporary, sky lit and climate controlled exhibition space is inserted. 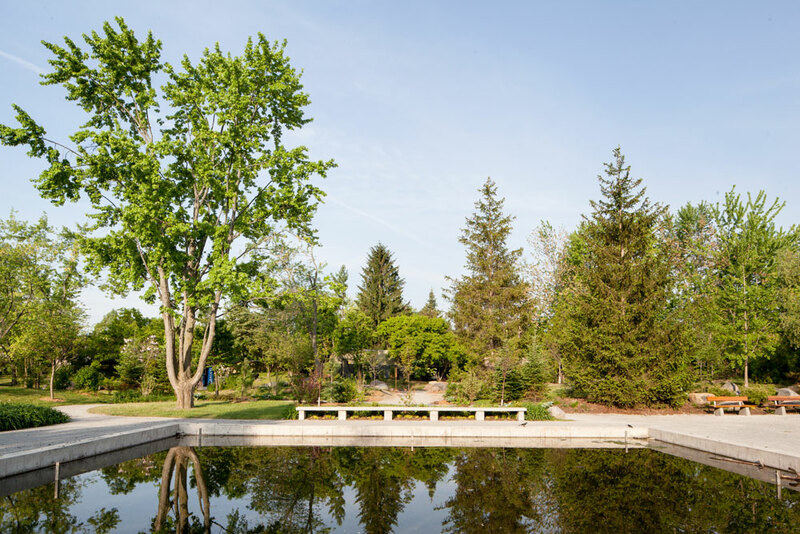 Water elements, both contained and moving, are used as devices to define spaces, create thresholds and connect the pavilions with the buried exhibition space and larger landscaped zones. The project highlights elements of traditional Korean design, realized with Canadian materials.